You can buy one now, but you’ll have to wait a while to actually get it delivered. Back in June, Apple announced that it discontinued its Thunderbolt Display, leaving Mac users wondering about their display choices. 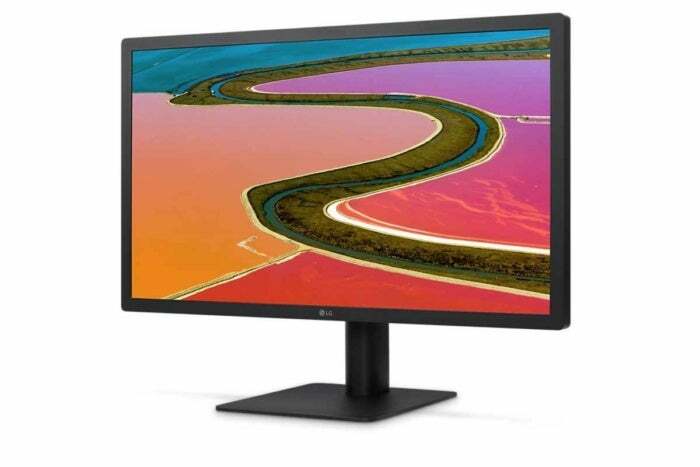 The picture became clearer in October, when Apple announced that it worked with LG on an UltraFine 4K and 5K display, but they wouldn’t be available until December. Well, we’re well into December, and the day’s finally here: both the LG UltraFine 4K and UltraFine 5K display are available for purchase on the online Apple store. The displays are being offered with “special pricing” for a limited time. The 27-inch UltraFine 5K is $974. When the special offer ends on March 31, 2017, the price could climb up to the original $1,300. The 21.5-inch UltraFine 4K display is $524, down from the original $700. According to the Apple website, if you order a display, you won’t get it right away. As of this writing, estimated delivery time for the UltraFine 4K is 5 to 6 weeks. You won’t have to wait as long for the UltraFine 5K; it’s deliver time is 2 to 4 weeks. You might try your luck by checking availability at your local Apple store. When I checked, the Apple website said I could pick up an UltraFine 4K today at the store nearest my home, but the UltraFine 5K display won’t be available from any local Apple store until January 20. The UltraFine 5K display has a 5120x2880 resolution, while the UltraFine 4K display’s resolution is 4096x2304. Both displays support the P3 color gamut and have a brightness of 500 cd/m². Both displays use a single Thunderbolt 3 cable to connect to your MacBook or MacBook Pro. In addition to video, the single connection can charge your laptop, as well as feed audio from the laptop to the display’s stereo speakers. The displays also have three USB-C ports for connecting peripherals, and built-in cameras that can be used with FaceTime.